The Panasonic Lumix DMC-FZ330 builds upon its popular predecessor, the FZ200, by principally adding a better viewfinder and LCD screen, touch-sensitive interface, faster autofocusing and start-up times, improved optical image stabilisation system, more robust weatherproof build, and of course, Panasonic's 4K video and still technology. Image quality remains the same thanks to the attractive combination of a sensible 12 megapixel sensor and the excellent f/2.8 25-600mm lens. While it may not offer quite enough to tempt FZ200 owners to upgrade, the Panasonic Lumix DMC-FZ330 is a great choice for would-be bridge-camera buyers. While other manufacturers have concentrated on making their super-zoom cameras bigger in terms of their focal range, Panasonic have continued to buck the trend with the new FZ330 by making the lens fast, rather than (really) long. The FZ330 retains the constant aperture of f/2.8 throughout its relatively modest 24x zoom range, which arguably offers greater benefits to the photographer than increasing the telephoto reach. In practice having an aperture of f/2.8 at 600mm results in far fewer blurred pictures, with the added benefit of producing more out-of-focus backgrounds. 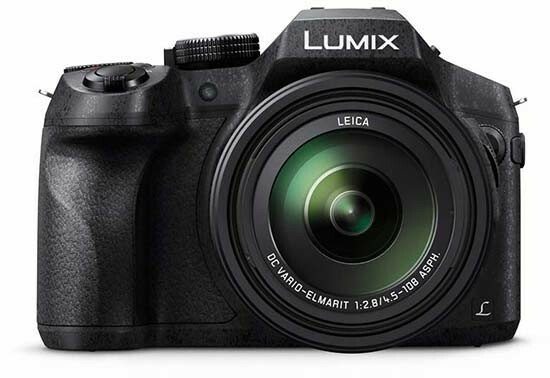 In addition to the 12 megapixel sensor and f/2.8 lens, the Panasonic Lumix DMC-FZ330 also has the same launch price as the FZ200 did back in 2012. At a time when compact cameras are getting ever more sophisticated and ever more expensive, this is a welcome decision by Panasonic. Although £499.99 / $599.99 is still a lot of money to pay for a camera with a small 1/2.3-type sensor, we feel that the Panasonic Lumix DMC-FZ330 offers more than enough improvements to justify its asking price.